The five Commissioners, who are WFN Members appointed by Council, evaluate and make decisions about allotment applications; administers the allotment of Community Lands; establish policies and procedures for the operation of the Commission; and establish programs of public information and education relating to the purpose of the Commission. The Commission works at an arm’s length from Council, and there is no formal process by which an allotment can be appealed. This autonomy assures that a level of integrity and transparency is maintained by removing the risk of political interference. The Commission has made several allotments to date and continues to explore new ways of evaluating applications to ensure a fair and transparent process that incorporates traditional Syilx values and principles. The Land is precious resource, and in today's economy the allotting of Lands is another way that Westbank First Nation is moving its Members toward self-sufficiency. Westbank First Nation is unique among First Nations in that it allots portions of its community lands to Members. The allotting of lands is a concept that was introduced by the Federal Government though the Indian Act, section 81(1)(i), which gives Council the power to allot lands to Members. Once given an allotment a Member is awarded a Certificate of Possession. This is the highest form of land ownership that is currently available on Indian Reserves. Unfortunately, under Canadian law, First Nation people do not legally hold title to their lands, the legal title continues to be vested in her Majesty who holds the land in trust for the use and benefit of the particular band. Despite this imposed limitation surrounding First Nations land ownership, Westbank First Nation has chosen to take a proactive approach to creating opportunity for its Members through the allotting of lands to Members for housing. The first allotments made by the Westbank First Nation Council, over 30 years ago, were conducted under the authority of the Indian Act. These were often allotments of large tracts of land allotted to Members who fenced off a tract of land and made an application to Council. This practice, for the most part, laid the foundation for much of the economic development on Westbank First Nation Lands, but it was unsustainable in the long run. More recently Westbank First Nation began allotting lands to homeowners after they have successfully paid off the Canada Mortgage and Housing Corporation mortgage. Under self-government, Westbank First Nation is continuing the practice of allotting lands for housing through the Westbank First Nation Allotment Law. This law created the Allotment Commission which is tasked with the responsibility of allotting lands that have been designated for Member housing by Council. Councillor Fernanda Alexander is currently serving the 2016-2019 term on Council. Fernanda has resided within the community and the heart of Westbank since 2003 to experience life and growth through our Syilx roots, culture, community and our Nation as it is an important part of life and growth. Fernanda believes that every individual’s strength is valued and can contribute to creating a strong balanced circle and community that can continue to pursue our strength as a Nation. Phaidra Jenner, a WFN Member, has been with the Allotment Commission since 2013. With her previous employment in Kelowna's non-profit sector, she brings her passion for affordable and sustainable housing to the team. 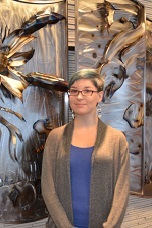 Phaidra is currently working toward a Bachelor of Social Work degree through the University of Victoria and hopes to complete her Masters in Community Development. She has four cats and is addicted to Law and Order. Phyllis represents the Elder's seat on the Allotment Commission and was previously a member of the WFN Economic Development Commission. 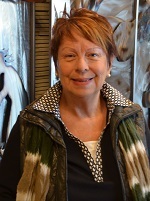 After completing a journalism program at Cariboo College, Phyllis broadened her knowledge and experience through her employment with the School District, Federal Government, Brenda Mines and, Kelowna General Hospital. Phyllis is retired and lives in Peachland, where her family was raised, and enjoys spending time with her four grandchildren. Each Commissioner will hold office for a term of three years. A Commissioner may be re-appointed to office by Resolution of Council. not be in arrears to WFN with respect to any loans, debts or other financial obligations owed by the Member to WFN. Any honorarium shall be set for the term of the Commissioners and cannot be changed during the term, except upon the decision of an Adjudicator. Commission meetings are held on WFN lands. Commissioners may participate in a meeting by telephone. consideration of whether a Commission meeting should be closed under this provision. Copies of approved minutes may be obtained by Members upon payment of a reasonable copying fee, except with respect to matters in any closed part of a Commission meeting. All matters before the Commission for decision shall be decided by a majority vote of the Commissioners participating in the vote.